It all began when I met Kirby on the job. She was the stylist for Children of the Tribe and we would spend our days with her making things look amazing and me there to photograph it, while chatting and laughing way too much over all things life..
Kirby liked my style and I liked hers, which is pretty lucky I guess because I ended up being her wedding Photographer. 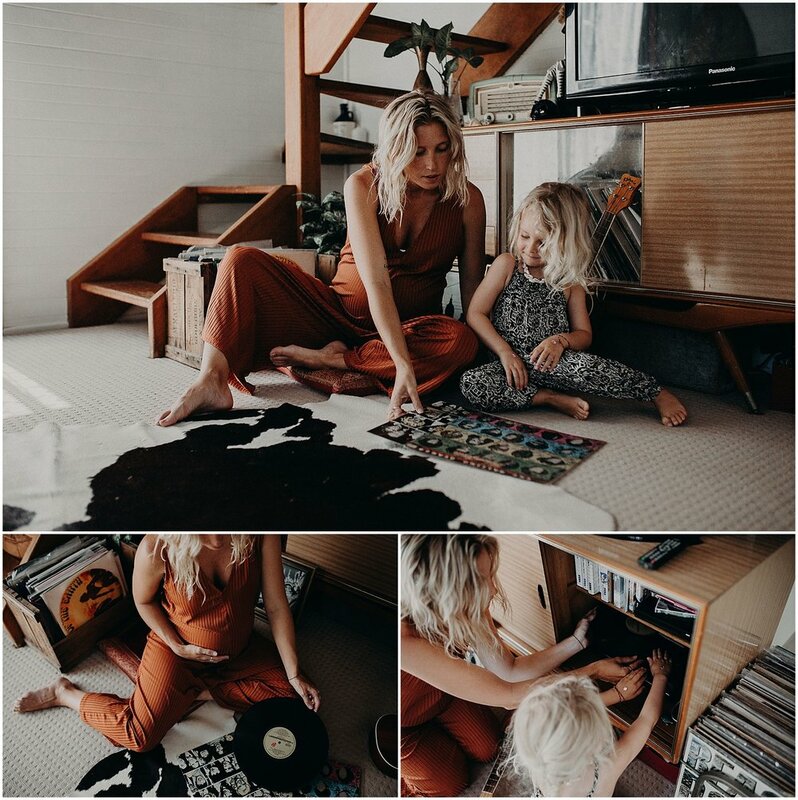 Fast forward a year and i'm lucky enough to now be in the home of Kirby, Luke and Olive snapping their fleeting moments as a family of three. What I love about maternity shoots is the storytelling. 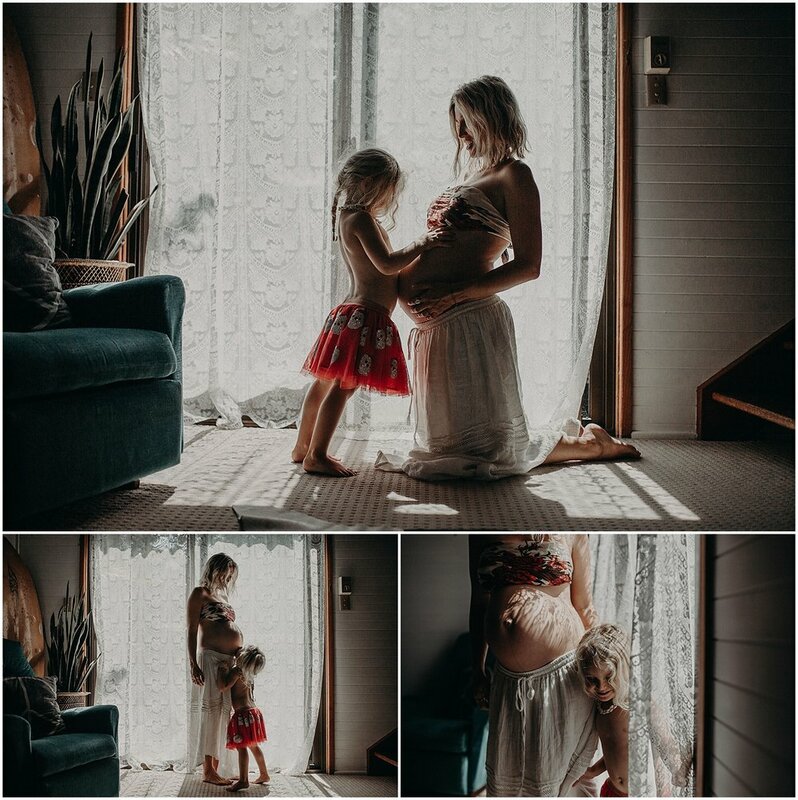 Maternity sessions don't have to be the obvious... standing in the basking light with a dress you would wear to the school formal, while you prop a leg and hold your belly. Maternity photoshoots in my eyes are the best way to remember what life was really like. There are creative ways to capture that bump. Combining it as family photos in home or in an awesome location is a sure fire way to get the most out of your session and let's face it.. It feels a little less awkward!